The game of tennis can be adapted to accommodate any age, environment, condition or disability. 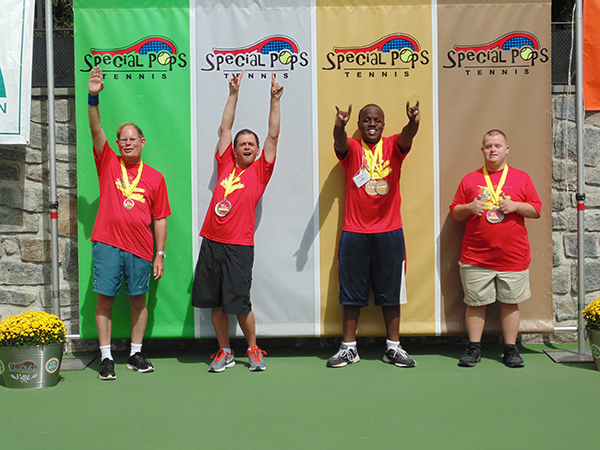 USTA Southern seeks to promote and develop recreational tennis opportunities for individuals with varying abilities and circumstances through inclusion, knowledge and support through our Special Populations/Adaptive Tennis program. We support activities for individuals with physical, developmental and situational challenges through recreational and competitive tennis opportunities. Individuals with varying abilities are welcome to the sport and those more highly skilled are even able to compete in sanctioned USTA leagues and tournaments. In 2006, USTA Adaptive Tennis was created to promote the benefits, develop the techniques, and grow the resources of tennis for anyone with a disability. Tennis has many benefits for both mind and body for everyone. Physically, playing tennis helps to improve balance, mobility, agility, strength, and fitness. Mentally, tennis works on one’s focus, concentration, and reactive and problem-solving behaviors. Emotionally, it can promote self-confidence, instill feelings of success, relieve stress, and provide social outlets, such as meeting new friends, enhancing relationships, or providing great family outings. All these benefits are incredibly important for those with disabilities. Adaptive tennis may apply to individuals who may have some form of physical or intellectual disability, including hearing impairment, blindness/visual impairment, dwarfism/short stature, birth defect(s), previous stroke(s), Downs Syndrome, Fragile X Syndrome, Autism Spectrum Disorders, and other intellectual disabilities. Visit the Adaptive Tennis page of the USTA website for more information. Visit the USTA state list of programs. Download Special Pops/Adaptive program contacts. Download Special Pops/Adaptive tournament schedule. Apply for a Special Pops Program Grant. Deadlines are January 31 and May 31. For more information, contact: USTA Southern's Cee Jai Jones or call her at 770-368-8200. For more information, email the USTA Southern Special Pops Subcommittee Chair Jim Hamm.